Objectives of the project 1. Allow children to express their creative output in an interactive method 2. Engage children of RAPCC in fun activities Details of the project The project will be divided into two parts 1. First half will be at the ward. Volunteers will gather around 10am. In the first half, volunteers enter with balloons, which are then distributed to the kids. Coloring sheets and crayons given to the kids interested. Craft paper can also be given and the volunteers can help the kids out with origami/ other fun activities. 2. In the next hour, interested kids gather in a room. They can be accompanied by their parents. Either of the activities can be carried out. a. Movie screening: Cartoons can be played in the laptop. b. Story time: Volunteers can engage the kids with a story. c.	Passing the ball: A simple game of catch with a ball. Music can be played on speakers. Three winners get a smiley ball and participants getting a pencil/ stationary item. Project aims to spread happiness and joy among the elderly at the Destitute Ward. Volunteers shall go to an old age home and spend time with elderly, play indoor games and dance on retro songs, talk to them and help them. Volunteers aim to make a difference in the lives of the specially challenged people. Various activities like colouring, walking are carried out. Volunteers are required to visit the Blood Bank at Kasturba Hospital- Trauma and Emergency centre to donate blood. Volunteers have to mention their ID number on the form in the reception. Volunteers visit the Paediatric ward of Kasturba Hospital and recreational activities are held for the entertainment of kids. SKBN- Sri Krishna Balaniketan is an orphanage in Kukkikatte, Udupi. Volunteers are required to work for the betterment of kids by educating them and playing with them. 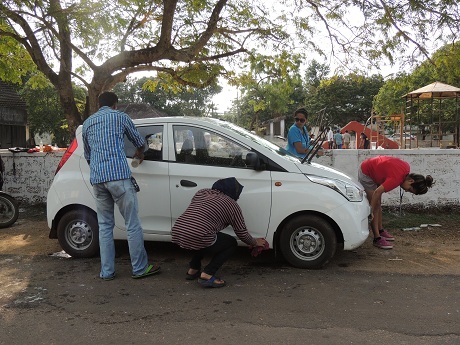 Volunteers work towards making Manipal a cleaner place by picking up trash. Gloves and bags will be provided. 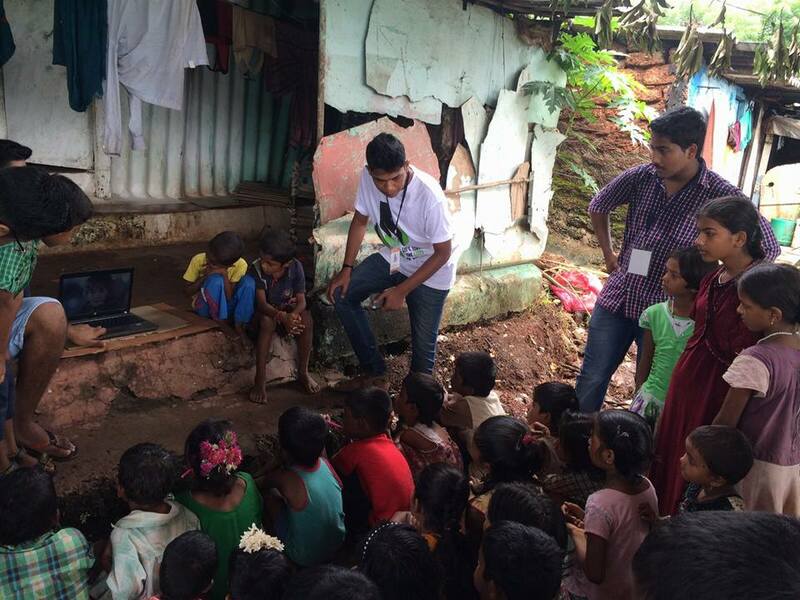 Volunteers aim to make a difference in the lives of the residents of Bijapur slums, behind Asare. Activities include educating elders about hygiene, basic needs and habits along with recreational activities. Volunteers make the people feel better by engaging them in activities. Volunteers will interact with rehab patients and spend time with them. 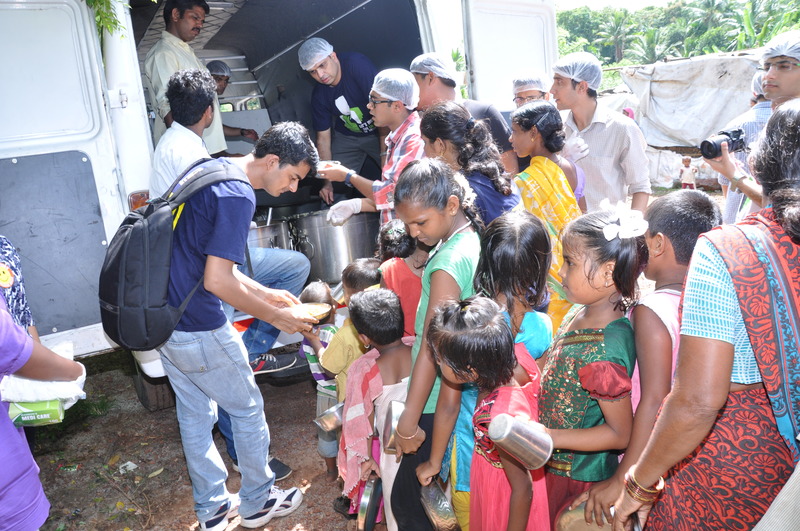 Volunteers visit the slum and interact with locals. 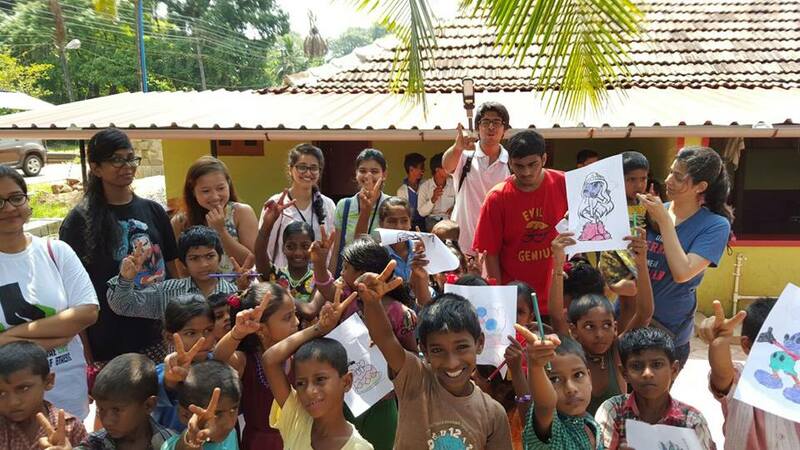 A project aimed at giving soft skills and life skills training to the children of Namma Bhoomi near Kundapur. Volunteers required to help in organising the Marathon. Volunteers are to visit the Nittur State Home for Girls and spend time with them. Volunteers make educational visits to The Academy School, Manipal. They help students hone their English Language and Science knowledge by liaison with other well off schools in India and abroad. To put up DaanUtsav posters in shops, restaurants etc. Preferably those with vehicles. Organised by Manipal University, on August 5-6, 2017 at Manipal. The purpose of this conference is to orient the rest of the colleges in the country to Daan Utsav and the power and need for youth to bring about social change. Visit to Jeeva Daan- Old age home and orphanage to fulfill the wishes. Volunteers and the general public interested in spoken poetry will be given a chance to spread awareness among the general public about issues of social importance like depression, woman safety, social stigmas etc.A minimal price rose will be given to all the participants the money collected will be given to Snehasadhan orphanage. The project aims to collect old story books and toys from students and faculty members of KMC Mangalore to set up a library for kids in RAPCC. •	MENSTRUATION AWARENESS DRIVE Among the prepubertal girls about mentrautaion, menstrual hygeine and pubertal changes that occur during adolescence after taking prior permission from head of the school. •	CPR AND BASIC FIRST AID The students of higher secondary schools will be taught basic first aid measures and a short workshop on CPR will also be conducted in association with Emergency medicine department of KMC Mangalore. The project aims to give an opportunity to teach and learn. This will be done by grouping those who want to learn a skill with those who are good at it.Voluntary contributions will be proceeded to the orphanage. The project aims to spread cheer among the kids at orphanage. Program will include small magic show (In association with Mahesh sir -Psychiatry Department), Singing, Playing games followed which there will be a dance workshop. In this project, the children of orphanage will be taken for a fun filled and educational trip to Pilikulla Planetarium. Volunteers from KMC Mangalore will go to various orphanages and old age homes around Mangalore and collect wishes. These wishes will then be displayed on coin shaped paper cuttings in the college. Thereafter, students interested in fulfilling a wish will be able to do so and all the gifts collected will be distributed in the orphanage and old age homes. The Forensic Museum, KMC Mangaluru will be kept open throughout the week for School and College Students. A session regarding Forensic Medicine will be held by the department of Forensic Medicine, KMC Mangaluru. Manipal Marathon Organising Team, are conducting a Promotional Run in Mangalore on the 3rd of February, 2019. The Promo Run is to spread awareness regarding the Manipal Marathon 2019 which will be held on the 17th of February, 2019. Volunteers are required to help out for the Rangoli & Drawing Competition on 26th Aug 2016 at Interact Lecture Hall GA. They have report at 1.30pm at interact. Volunteers are required to facilitate in teaching kannada. Knowledge of kannada is compulsory. Volunteers required for logistical and management support for convocation. Volunteers are required to take part in the walkathon conducted by SOAHS, MU. A Sunday morning filled with awareness, street games, indoor games and fun. A one time project to raise awareness regarding use of helmets while riding, through a bike rally. 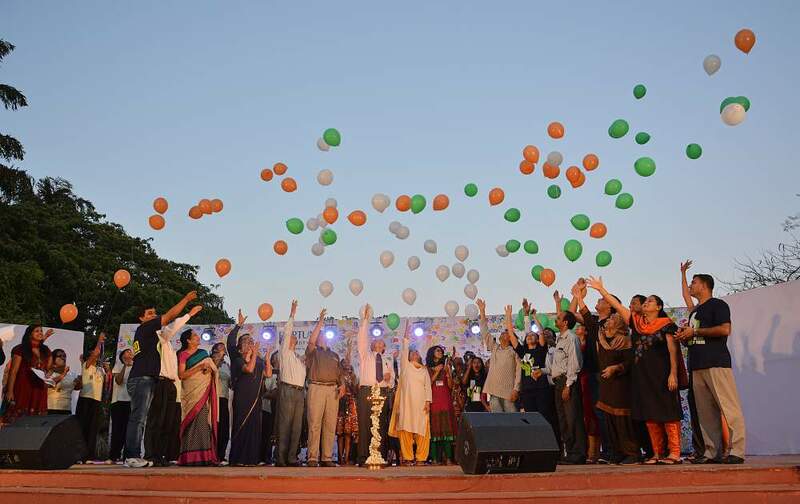 Volunteers will have to help in various avenues for smooth conduct of the event. Publicity about eye camp at/around Alevoor on 22nd June. Volunteers will have to participate and Volunteer for the International Day of Yoga Celebrations at MIT FC on 21st June, 2017. Eye Camp at Alevoor Community Medicine Centre on 22nd June, 2017. A Campus Ambassador is literally the face and voice of Manipal University. The basic function of the Campus Ambassador position is to promote Manipal University and build relationships with prospective students, guests, faculty, staff and business leaders. 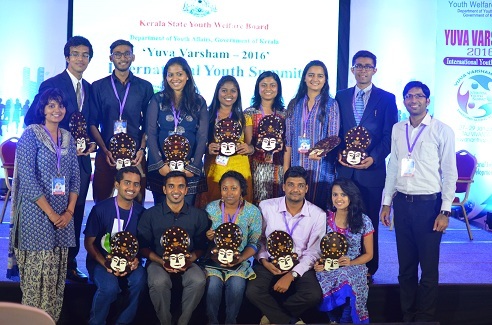 The inaugural National Conference on Youth in Social Change, is to be held on August 5th and 6th at Manipal University. This one of its kind conference aims to sensitise the youth to bring a social change and promote Daan Utsav, especially among the youth and the student community in India. It will feature more than 500 participants from all around the country and eminent panelists and speakers and top NGO's, CSOs, CSR Heads, Social Groups among others. To increase awareness about Organ Donation, KMC Manipal is to hold an Organ Donation Day on 18th August. Department of Student Affairs is conducting a regional level exhibition on 19th and 20th August, 2017 at Dr. TMA Pai Halls. In Accordance with the UGC Guidelines, Manipal University, Manipal Institute of Technology, and the Volunteer Services Organization are celebrating the Cleanliness Fortnight from September 1st to 15th. Kidathon is aimed at walking for good health to raise awareness against childhood obesity. Ayudha Pooja and Sharada Pooja Celebrations of the University. 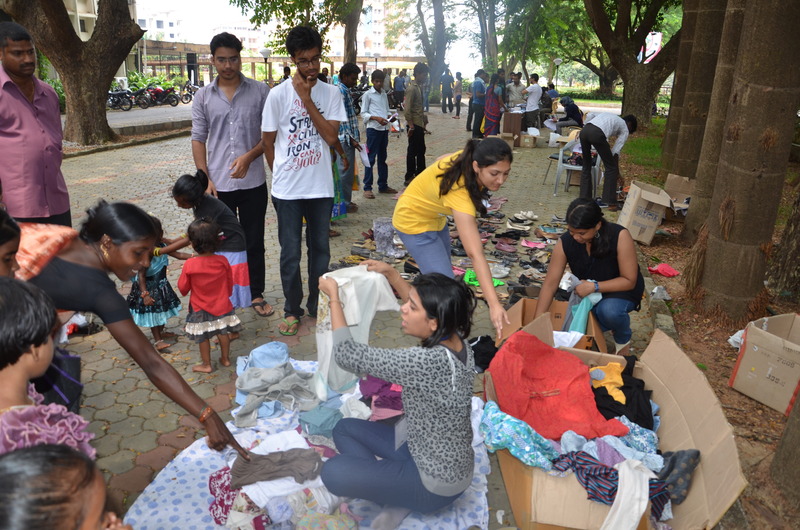 Walkathons in Manipal that VSO takes part in actively. POWER - Platform of Women Entrepreneurs. Group of women entrepreneurs providing a platform for budding end excelling women entrepreneurs. Volunteers make kites for the underprivileged to fly during Tarang. Training for performing CPR will be conducted by KMC in Ajjadkad ground. Transportation and refreshments will be provided. A project by WGSHA & Department of Culinary Arts. The sweets will be distributed in VSO weekly project. Being a part of VSO has been the most wonderful thing in manipal. It has been a really great experience aI nd would like to ask everyone out there to join and be a part of it. Not only the recent changes made to the website have made it look more beautiful, it has also made sure that all the information related to VSO is concise and updated so that it can be read by anyone easily. It's been almost a year I started volunteering for VSO and to be honest it's been the best part of my first year of college. The projects are all framed in such a way that it delivers the best it can in those few hours. 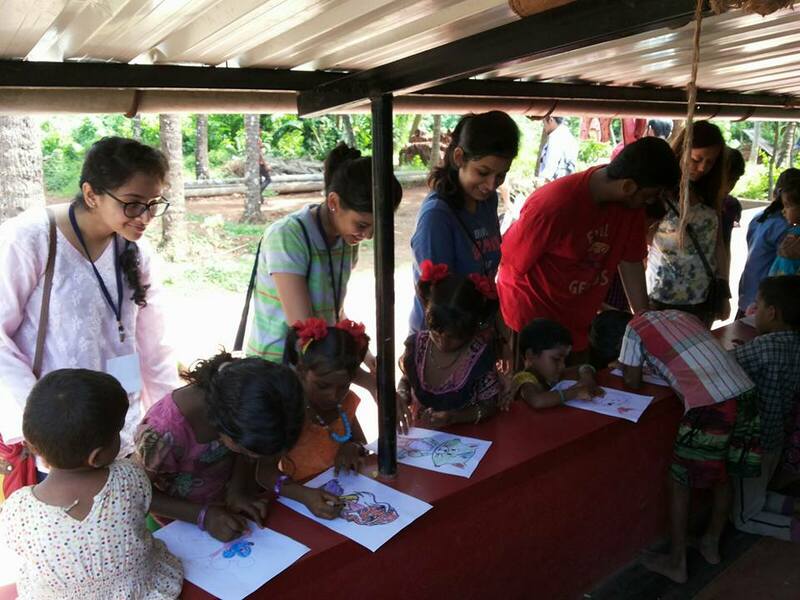 VSO as an organization provides various opportunities to the students which is not just social work but includes events like Manipal Marathon , Carnival, Tarang and many more events which focuses on spreading smiles. It's been a great experience for me personally and I've had a great time volunteering for VSO. After all, smile is that one thing everyone is looking for in life. A person with empathy, love for people and someone who is sensitive to the needs and troubles of a fellow human. This is what you are or will become when you graduate VSO, if I may say so. Service before self isn't just said here, it is meant, always.